The marathon of messages has concluded. 32 bilingual messages were taught including two radio broadcasts! Twenty were translated into Luganda (Uganda) and twelve in Amharic (Ethiopia). Although I sometimes speak this number of messages, this is the first they were all different. Each day I had to trust God to help me. Thank you so much for your prayers. I really sensed God's Spirit working. And except for a queasy stomach, here or there, my health and sleep were good. I have now been back one week from the Christian leadership seminars in Uganda and Ethiopia. Many spots around the world are alive with political troubles including many in Africa. 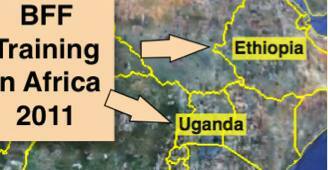 Kampala, Uganda (my last message was spoken there) was on the news last night. It seems as if a legion of evil demons was released to instigate war and division on earth (Are we witnessing the beginning of the end - Revelation 6:8?). Although I was not in any real danger, troubles were not far away. My confidence: there is no safer place to be than in the will of God. Breaking through sin patterns to reach Gods great Christ-design for each believer. Creating joyful and harmonious marriages. How to bring renewal to Gods people wherever they are in their spiritual lives. Each time I go through these seminars, my heart is humbled at the many grand teachings I am called to teach. Numbers were down in Uganda, but we still had 25-30 individuals in each seminar who were attentively learning these truths. The 60 in Ethiopia gave rapt attention. This country boasts 80% Christian believers but the church is not shining. Some weakness derives from crusades linked with prosperity teaching. On the other hand, poverty and war have genuinely forced many to give up their traditional lands and beliefs. This opened the door for many to replace traditions with the Lord. But they simply do not know the power of God's Word, thus the dire need for teaching. I would be happy with a group of thirty, but confusion came through our expectation of more. Some of you have read about the pastors being put in jail. Two vans packed with pastors (some estimates of 40!) were impounded because the taxi vans they used happened to belong to the opposition party. They police thought they were going to lead a counter-government protest. The pastors were in jail overnight and only released because of a cash payment. It makes me very glad to be in America, but I realize this is where our country is headed if we don't repent from personal and national sins. Our second seminar was held in this second church held under a tarp.We had other difficulties including two huge rainstorms during the late night/early morning hours. 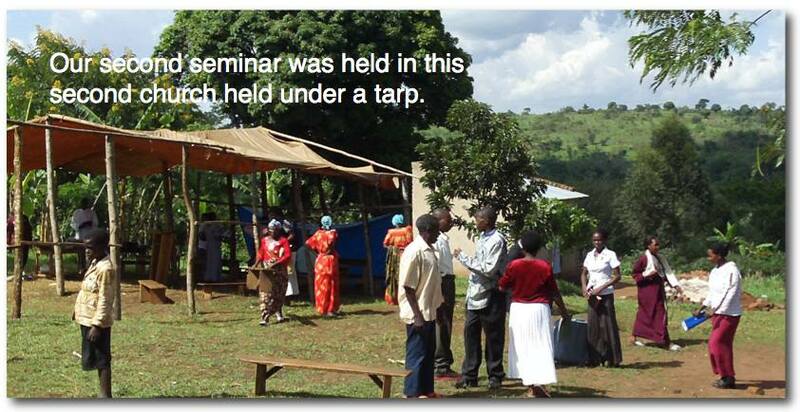 The seminar was held outside under a partial canopy (see above). Praise God it didn't happen during the seminar! We also had a truck back into the front door of our car on the way to the seminar (when picking up some supplies). Fortunately, little damage was done and no one was hurt. The two seminars were greatly used by the Lord to bring change in the lives of His people. Numerous attendees told me of the changes God was bringing in their lives and ministries. Several told me about visions/dreams that God was using to reinforce these teachings. Our prayer is to see these truths like waves extending further and further out to others. One of my goals is to hold bilingual seminars so that we can create libraries of excellent training materials in different languages. 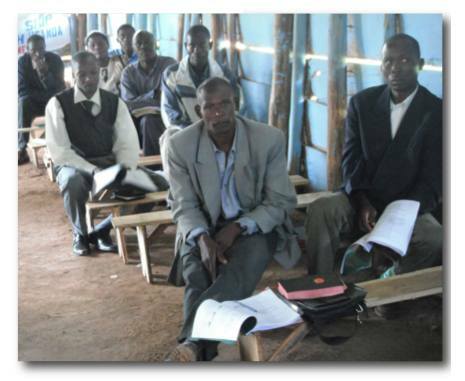 Even many pastors in impoverished lands have mobile phones and access to computers and Library players. Accompanied by extensive handouts (80 pages or so), we are equipping the church in different lands to be strong. Praise God, despite all the difficulties, we were able to secure these recordings. Editing work still lies ahead! This group was fantastic. This is the first time the attendees (pastors, evangelists, etc.) were were waiting for my arrival! 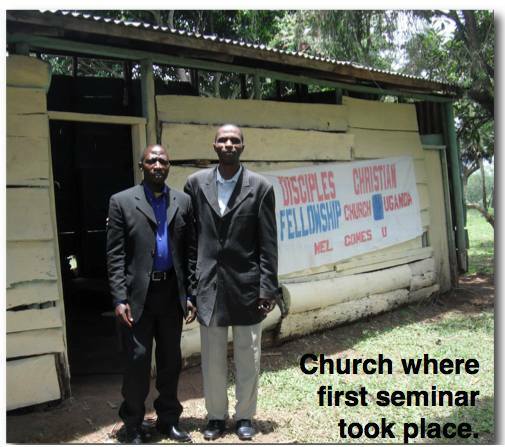 Four of these pastors traveled 720 km (388 miles) over several days just to get there. These poor pastors/church planters paid one way for their travels. Pastors in Ethiopia taking a break.While I taught into the early afternoon, they had other classes and follow-up sessions later in the afternoon. The church, much like China, had to go underground during the communist takeover in the 90s, but now is getting lukewarm. These teachings (D1) are exactly what these brothers were looking for in their own lives and for their people. Unfortunately now, the traditional church clouds the power of God's Word rather than declaring it. 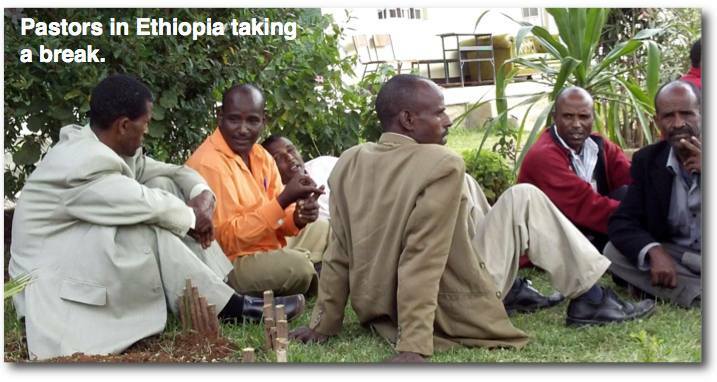 Three different denominational groups were represented, along with representation from all over Ethiopia. Each conversation with a pastor became a quick geography lesson. Unfortunately, without a map I am just trying to grasp names and places. One neat point of legend or possible history. The king who established this city of Addis Ababa is known as a descendant of Solomon through the Queen of Sheba. We are a team working together to advance the power of Gods Word in the lives and ministries of Gods people in far off countries of the world. Thank you for your financial support which took care of all the financial needs and the prayer and moral support which enabled me to give from the Lord (far beyond what I could ever have done on my own). My goal is to edit these recordings in these first weeks home, otherwise they might end up in the graveyard of recordings. 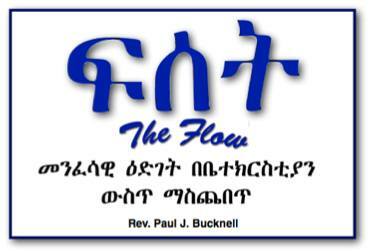 Praise God I just finished producing the Amharic (Ethiopian) videos (Turn to the Amharic channel to view!). Only 20 more to go! Praise the Lord for sufficient funds. Health, stamina and the Spirit's empowering strengthened me. God cared well for my family. Already 12 of 32 video/audio edits are completed. May God extend the impact of these seminars far beyond the actual seminars. Protection of and wisdom for God's people in these turbulent countries (Nigeria's presidential election is coming up). Many more videos to edit and formation of the accompanying web pages. Then I send Libraries out to strategic partners overseas. 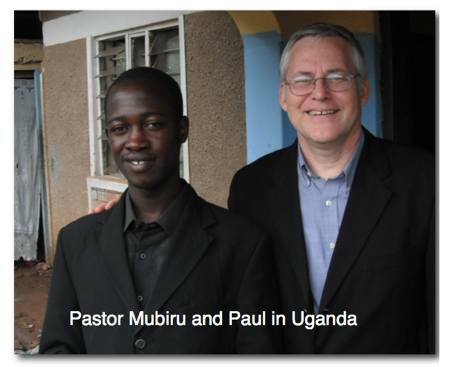 Pastor Mubiru (see above) will be marrying next month. A father in his church just died and announced (via letter) to everyone that he and the church would take care of his ten orphaned children! Do pray for this couple and Pastor Mubirus strategic responsibility to train hundreds of pastors under his leadership. Thanks for God's wonderful hand to make these seminars come about!